schmidt motorsport 3 piece 15"
also hav an 87(i think) but thats a work in progrees lol. That's a perfect candidate for a 1.8t swap! Sweet it worked this time..
now that is passion... love what youre doing man . Its realy just a paint job,dont need to many parts except for a windscreen and heater core so shouldnt be to bad. Now use two brilliant guys in Newmarket Auckland who used to race VW's and know the models inside out. Dirk seems to work more on Audi's and Vic on VW although both are good. Been using them now for about 10 years. They know how to work on engines with their brains although they have diagnostic equipment of course. Mahuru Street is parallel to Broadway, just before the junction with Gt South Rd.. Here's our 1987 16V GTI. 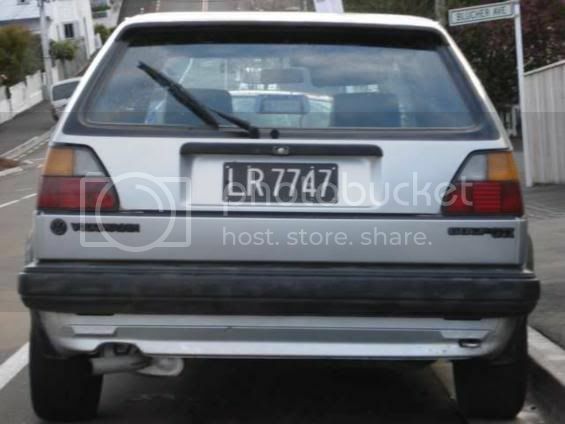 Sold new in Auckland, but has spent most of its life in Wellington. We've had it 6 years. No mods from standard. It's for sale if anyone's interested in a well run in original condition car with reasonably good history. 1986 5door Gti 8v. Original appart from sound system. 1400w amp with 330w 6'9s in the back Bose speakers in the front. No warrant or rego (still got black plates). Condision isn't to bad. Bit of rust in one door and a couple of dents. Needs new paint, recondition exterior plastics, and interior trim is a bit ruff. Should be a bit healthier in a few months. looks nice what wheels are those? I have a black 16 v 2dr mk2. welcome. Well I completed the "initiation process". 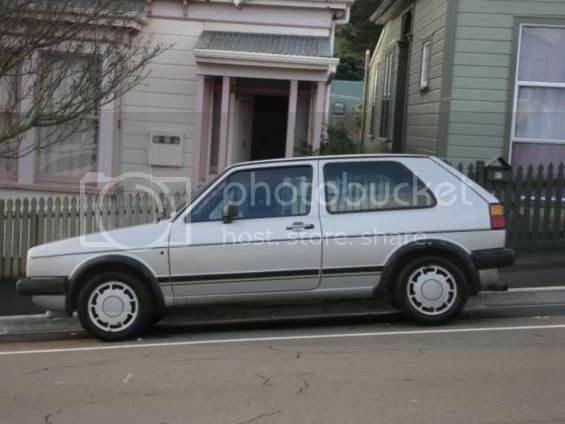 My car ('87 Golf GTi 16V) was sold to me as NZ New but turned out to be a SA import, it was imported 1 year old with 13,000km on it. I bought it sight unseen off trademe and had the seller met me at Auckland airport after 10 years oversaes. The owners manual claims 103kw and it certainly feels like they all are still there after 188,000km, what are the differences between NZ New and a SA import car? Also, the paint is a bit faded/oxidized, I bought a can of polyglaze cut and polish is this okay to use on my car? Sorry if these are dumb questions, have only owned new cars for the last 5 years. Thanks. We had an SA MK2 GTI 8V import, I know on that car certain parts are different to euro spec cars. 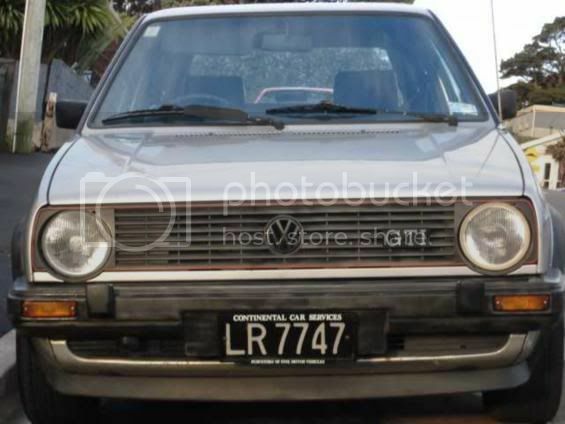 I knew a bloke who owned an SA MK2 GTI 16V, visually, they are painted black under the bumpers (small bumper model) and dont seem to have bee sting aerials which all euro spec MK2 16Vs do.